The Women of Distinction Spirit Awards Luncheon is the annual, signature fundraising event of the Greater New York Chapter of The Links, Incorporated. Each year, the Luncheon – which features an elegant fashion show, live music and vendor’s showcase – draws over 800 influencers from New York’s business, civic, social service, philanthropic and cultural sectors in support of the Chapter’s work in Services to Youth, the Arts, National Trends and Services, International Trends and Services, and Health and Human Services. This year’s Luncheon will honor Emmy Award-winning journalist and communications consultant Jacqueline Adams and technology pioneer Dr. Marian Rogers Croak, Vice President of Access Strategy and Emerging Markets for Google. Among the highlights will be the popular Vendor Showcase, beginning at 11:00 AM and a spring fashion show. Barbara North-Lightning and Victoria James are the 2016 Luncheon Chairs. Luncheon Vice-Chairs are Kaylyn Johnson Chandler, DeNora M. Getachew, Icema D. Gibbs, Lynn K. Law, Katrina McGhee, Gerri Warren-Merrick, Rhonda R. Mims, Johnita Walker Mizelle, Helen C. Shelton and Linda Zango-Haley. “The 2016 Women of Distinction Spirit Awards Luncheon will celebrate Greater New York’s 66 years of signature service, while honoring two accomplished women whose commitment to excellence in journalism and technology, respectively, have made a difference in our world today, “ says Rhonda Joy McLean, President of the Greater New York Chapter of The Links. In addition to the honorees, other notable attendees at the Luncheon include Link Natalie Fant, Eastern Area Director, The Links, Incorporated. Established in 1946, The Links, Incorporated, is one of the nation’s oldest and largest volunteer service organizations of women who, linked in friendship, are committed to enriching, sustaining and ensuring the culture and economic survival of African-Americans and persons of African descent. The Links, Incorporated is a not-for-profit organization, which consists of nearly 14,000 professional women of color in 282 chapters located in 42 states, the District of Columbia and the Bahamas. Greater New York Chapter, founded in 1949, was the first chapter chartered in New York and comprises members from all five boroughs in New York City and from Long Island. Under the leadership of President, Rhonda Joy McLean, Greater New York Chapter is committed to fostering community outreach in the New York metropolitan area through quality programs with a long-term impact on the well-being and enrichment of African-Americans and other traditionally underserved communities. For the past several years, Greater New York has focused heavily on enhancing the lives of those who have been victimized by domestic and family violence. Want to know what has been going on in the Museum since 2000, the year we incorporated? Scroll down to see the short Power-Point video from 2010 that describes our activities and anticipation for the day when we would open the doors to a “brick & mortar” Museum building. 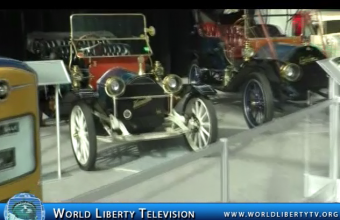 And below that, see the video of the Grand Opening of the Vintage Automobile Museum of NJ on September 15, 2012. And below that is a picture of the second Grand Opening in 2013, after repairing the destruction caused by Super-Storm Sandy on October 29, 2012. We re-opened on August 2, 2013. 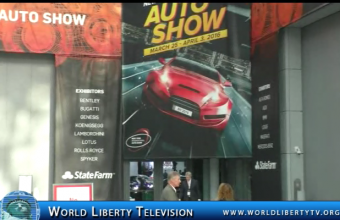 Keynote Speech by Carlos Ghosn Chairman and CEO ,of Nissan Motor Company Ltd.
See the above events and much more right here in our World Liberty TV ,Motor Channel . More than a dozen major debuts already have been announced, with some surprises still to come. 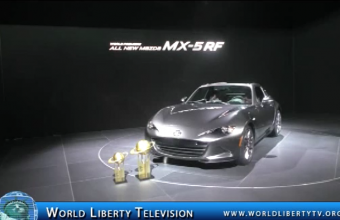 The slate is heavy on luxury vehicles, sports cars and luxury sports cars. Dominating the luxury and/or performance roster are the 2017 Acura MDX SUV; Genesis Sports Sedan Concept; 2017 Mercedes-AMG GLC43 SUV, AMG E43 sedan and CLA-Class sedan; 2017 Porsche 718 Boxster and 718 Boxster S convertibles, and Macan SUV. But the Nissan GT-R and Toyota 86 should bring plenty to the performance table as well. Not everything is for the speedy and spendthrifty. The environmentally conscious will want to clap an eye on the Ioniq, an all-new-for-2017 trio of hybrid-electric cars from Hyundai. The 2017 Chevrolet Sonic, Subaru Impreza and Toyota Highlander round out the more down-to-earth debuts. The 2016 New York International Auto Show kicks off to the public on Friday at Manhattan’s Jacob Javits Convention Center, on 11th Avenue between 34th and 40th streets. Hours are 10 a.m. to 10 p.m. Monday through Saturday and 10 a.m. to 7 p.m. Sunday. Tickets are $16 for anyone age 13 or older and $7 for children age 12 and younger (2 and younger are free); discounted tickets are available for $14 a person for groups of 20 or more adults, and $5 per person for groups of 10 or more children. Jean Shafiroff is an American philanthropist and socialite. She lives in Manhattan, in New York City, and in Southampton, New York. Shafiroff serves on philanthropic boards in New York City and Southampton. Shafiroff has been a trustee of the Jewish Board of Family and Children’s Services (JBFCS) since 1992, and served as a board member of the Youth Counseling League, a division of JBFCS, from 1998 to 2009. She has served as co-chair of Southampton Bath & Tennis Club Charitable Foundation since 2005, and as a member of the board of directors from 2001 to 2004. Shafiroff is also a board member of Lighthouse International since 2009. She joined the board of Couture Council, which supports the museum at the Fashion Institute of Technology (FIT), in 2010. In April 2012, Shafiroff was appointed to the board of the French Heritage Society. Later that year, she joined the board of the New York Women’s Foundation after having hosted the foundation’s annual luncheon fundraiser the previous four years. She is an honorary board member of the Southampton Animal Shelter. Shafiroff is known for “her leadership in raising money for the Southampton Hospital.” She chaired the hospital’s annual summer gala fundraiser for the years 2010–2011 and 2013. Shafiroff has chaired other galas and fundraisers, including the Bicentennial Gala of the NY Mission Society,the Solar One Gala,and the New York City American Cancer Society Gala three times. Shafiroff has also organized and hosted high-profile luncheons for charitable organizations. She married Martin D. Shafiroff, managing director at Barclays, in 1982. They have two adult children, Jacqueline and Elizabeth. World Liberty TV ,Team was on hand at The Successful Philanthropy ,How to make a life by what you give ,Book Debut Cocktail Reception By Jean Shafiroff and introduction by Georgina Bloomberg.., See Exclusive interview with Mrs Shafiroff in our World Liberty TV ,Book Review Channels ,See what She had to say about her book and why she Wrote it. The Book The Successful Philanthropy ,How to make a life by what you give, can be bought on Amazon , Kindle Version and hard Copy and is published by Hatherleigh. DIFFA: Design Industries Foundation Fighting AIDS is one of the country’s largest supporters of direct care for people living with HIV/AIDS and preventive education for those at risk. Merging care and commerce, supporters of DIFFA come from all fields of fine design and the visual arts, including: architecture, fashion design, interior design, photography and consumer product design. With fundraising efforts bolstered by strategic partnerships and unique events showcasing innovation and creativity, DIFFA has mobilized the immense resources of the design communities and granted over $41 million to hundreds of AIDS service organizations nationwide. Patricia Green has long since retired from DIFFA’s Board of Trustees and Larry Pond died of AIDS in October 1992. Dr. Abbey has been honored over 350 time’s world Wide, for his contribution for Humanity, and helped thousand’s People World Wide and continues to do that. Dr.Abbey was honored By The Women in Business .org ,During Women’s History Month on Thursday March 17th 2016 (St Patrick’s Day) at The New York Botanical Gardens Bronx at The Prestigious Stone Mill House inside the Gardens , for his contribution to women around the World .by showcasing them on World Liberty TV, in a positive manner, also Dr.Abbey has helped Thousands of Women , and empowered them thru his Non -Profit Organization , Humanitarians of the World Inc, (HOTWINC) See more at www.hotwinc.org and www.worldlibertytv.org , we like to thank Mrs Toby Nadler Founder and CEO of Women in Business .org for Honoring our Executive Producer who richly deserved this honor. 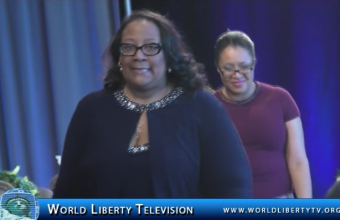 See Dr. Abbey s Acceptance Speech right here in our World Liberty TV, Humanitarian Channel . A very cordial welcome to the WOMENINBUSINESS.ORG Couches & Cupcakes Grand Business Salon with host venue sponsor NYBG. The important information you need for your Salon participation. Salon Check-in started at NOON when all participants arrived at the main Tram Station. NYBG representatives gladly indicated a short outdoor walkway to the Station. The Tram will loop-run until 12:20 PM. The open NYBG Tram will quickly transport you “back in time” through the winter garden to the historic Stone Mill where you will be warmly greeted. Everyone can expect business & pleasure, always with a point – and a few surprises. During the March 17th St. Patrick’s Day Grand Business Salon, the NYBG Tour Guides skillfully escorted Salon participants on our special private tour of Orchidelirium. Plan to participate and experience SweetSuccess in the entire exciting, full schedule until Salon conclusion at 3:30 PM in the beautiful glass-domed Haupt Conservatory. 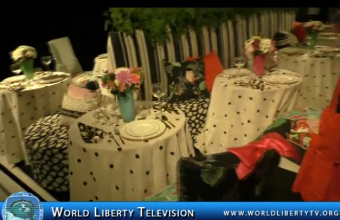 World Liberty TV, Team was on hand were our Executive Producer Dr. Abbey was honored for his contribution, to Women’s Causes world wide during Women’s History Month ,and many more women were honored, a wonderful event put together by Mrs Tody Nadler Founder and President of WomeninBusiness.org . 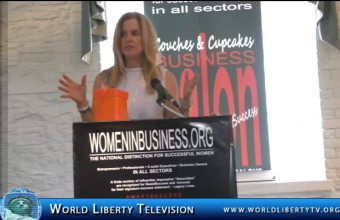 World Liberty TV, Was the Official Network of The Women in Business .org Event. Viewed by most as the best trade show both nationally and internationally, Coffee Fest is specifically for those involved with retailing coffee, tea and related products. Coffee Fest continues to evolve and stay at the forefront of emerging trends. If it looks like coffee, smells like coffee, goes well with coffee or is coffee, you are guaranteed to find it at Coffee Fest. Everything under the sun that would be found in an upscale coffee shop, on either side of the counter (including the counter), would be found on the exhibition floor at Coffee Fest. The best coffee retail education, training and workshops are also found at Coffee Fest. 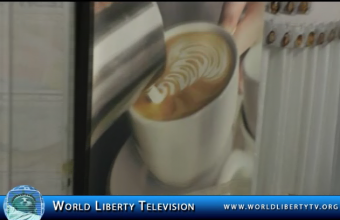 World Liberty TV, team was on hand to cover Producers, Distributors from all over the world ,at the Coffee fest NYC 2016 ,and also interview Ms Erika Lowery of Coffee Fest ,see what she had to say about the festival and more right here in our World Liberty TV, Food and Wine Channels. Created for attendees of all ages and types this is a once a year event that should not be missed. 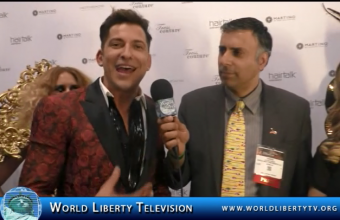 World Liberty TV, LGBTQ Team was on hand to meet the movers and the shakers of The LGBTQ Community right here in our World Liberty TV , LGBTQ Channel . The concept for the brand began with his passion Friends Are By Your Side. His charity provides Wigs & Wishes® to women and children battling cancer. With the purchase of any Martino by Martino Cartier product, 10% of net profits go directly to funding the charity, making these wishes, wigs and his annual event A Night of Wigs & Wishes possible. Every day, thousands of women and children are diagnosed with cancer. Wigs & Wishes® Powered by Friends Are By Your Side® is a non-profit organization founded by Martino Cartier, that is dedicated to providing wigs & granting wishes to these courageous individuals. Supporting such a large initiative is made possible by a network of participating salons, stylists and global corporate sponsorships. Salons and stylists throughout the world empower women by providing them with complimentary services that allow them for a brief moment to forget about their fight. Recent wishes and events include: Taylor Swift Meet & Greet for Alex, Justin Bieber Meet & Greet front row for Kiki, A day on the set with Adam Sandler for Angela, a family honeymoon for Jim Zetz, an Annual Night of Wigs & Wishes and plenty more! With every purchase of my product, 10% of net profits will be donated directly to Friends Are By Your Side. Your support allows me to continue to provide wigs & wishes to women and children battling cancer. 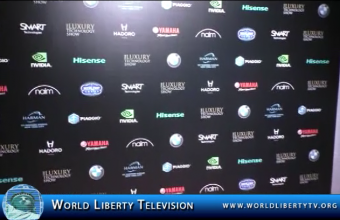 World Liberty TV’S Executive Producer did an Exclusive Interview with Martino Cartier Global Artistic Director , Platform Artist and Humanitarian , see what he had to say to us at the International Beauty Show 2016 ,right here in our World Liberty TV, Health & Beauty Channels.